Lauren Gerdes, one of the mangers for the travel baseball teams Fieldcrest Xtreme 11U,. announced they will be hosting a fundraiser event Feb. 23rd at the Rutland Legion and hosting teams to play Trivia. 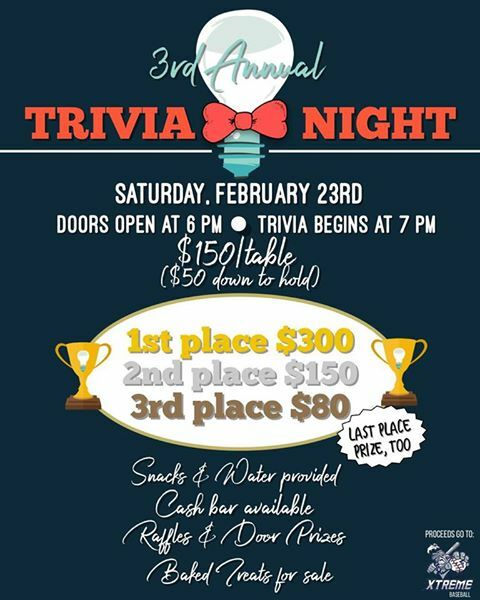 Twin City Trivia will come and host!